Former New Jersey state Sen. Joseph Coniglio was sentenced Tuesday to 2 years in prison for using his influence to steer state funds to a hospital where he also served as a consultant. "The reason I went into politics was to help my community," Coniglio told the judge, his voice cracking with emotion moments before he was sentenced. He then apologized for taking the hospital job that resulted in his conviction. The Paramus Democrat was accused of using his role on the powerful Senate Budget Committee to channel public funds to Hackensack University Medical Center. He was convicted April 17 of mail fraud and extortion. Prosecutors say that shortly after his committee appointment, Coniglio approached the hospital and formed an arrangement by which he funneled more than $3 million in state funds to the medical center -- New Jersey's busiest hospital -- in return for a $5,000-a-month consulting fee. Prosecutors say Coniglio collected $103,000 from 2004 to 2006 for a position they described as "little more than a no-show job." Coniglio, 66, who served in the state Senate from 2002 to 2007, is a former plumber. The fruits went to cure cancer, to treat sick children," Krovatin said. "They went for nothing but good." U.S. District Judge Dennis M. Cavanaugh noted he had received over 100 letters praising Coniglio, but also several from detractors, including messages left on the judge's answering machine urging him to give the former senator a long sentence. Coniglio and his attorney left U.S. District Court in Newark on Tuesday without commenting on the sentence. Prosecutors had sought a sentence of more than six years for Coniglio, but acting U.S. Attorney Ralph Marra said outside the courtroom he was pleased with the judge's decision and considered the sentence fair. "We're gratified that Mr. Coniglio now joins a coterie of corrupt public officials who profited from insider deals," he said. Coniglio is the third former Senate Budget Committee member to be convicted of corruption in the last two years, along with Sens. Wayne Bryant and Sharpe James. Bryant was convicted of having a "low-show'' job at the University of Medicine and Dentistry of New Jersey, which is affiliated with Hackensack, in exchange for bringing state money to the institution. 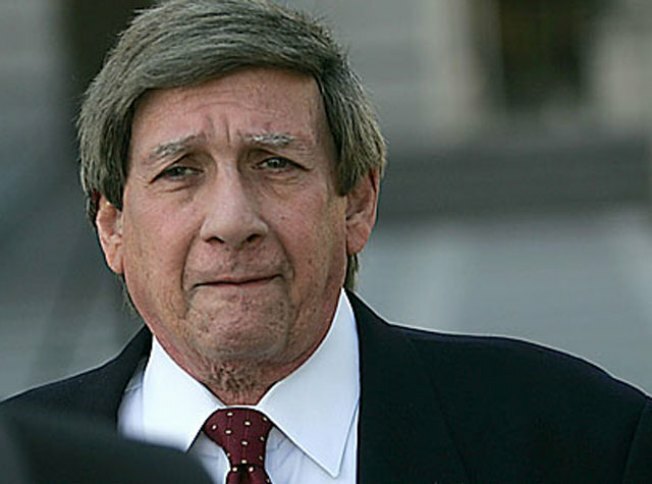 Once one of New Jersey's most powerful lawmakers, Bryant is serving four years in federal prison on fraud and bribery convictions. R. Michael Gallagher, a former dean at UMDNJ's School of Osteopathic Medicine, was sentenced to 18 months on a conviction that he bribed Bryant with a $35,000-a-year job. James, the former mayor of Newark, is serving a 27-month sentence. Coniglio was found guilty of one count of extortion and five counts of mail fraud. He was acquitted on two other counts of mail fraud and the jury deadlocked on a final mail fraud count. No hospital officials were implicated in the case against Coniglio.